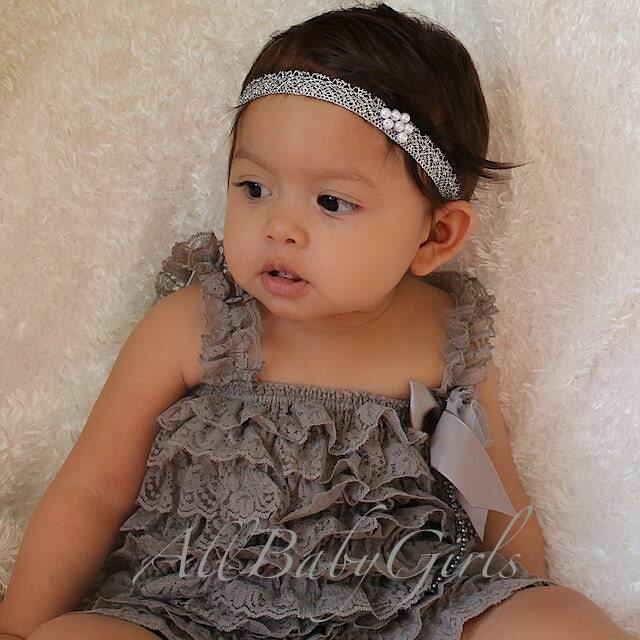 Try our Lazy Gray Lace Romper with Pearly Bow Flower that is very feminine and comfortable to wear. 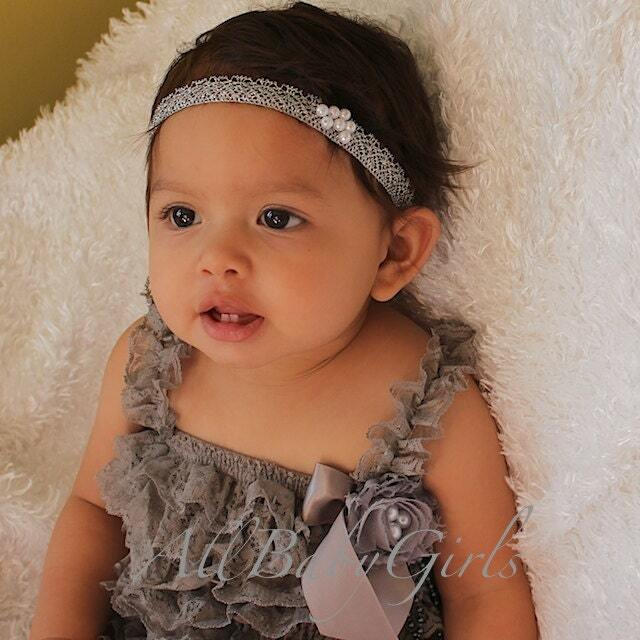 This can also be great gift for your families and friend’s newborns and little girls. 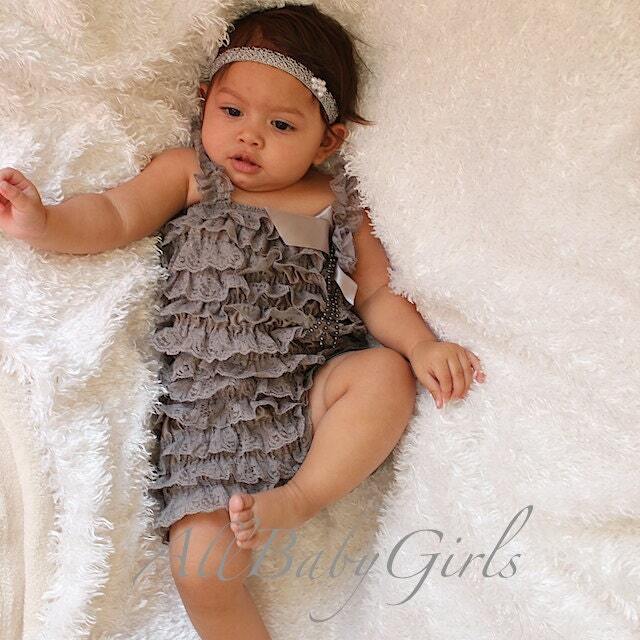 Lazy Gray Lace Romper with Pearly Bow Flower is ready and packed beautifully for fabulous girls who want to look glamorous at a very young age. Care Instructions: Hand wash this item to preserve its beauty for a longer period of time. Shipment Duration: Current turnaround time is 1 to 3 business days to ship your order. 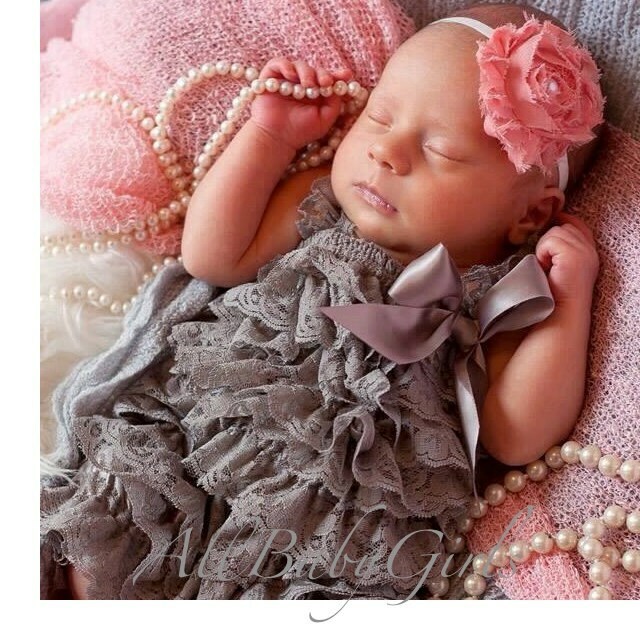 PLEASE BE AWARE: Do not leave the children unattended wearing accessories especially when they are asleep. Small parts are dangerous and can be choking hazard.